The parties have talked in abstract terms and danced. There seems to be a deal in the making. Negotiating the particulars of a written purchase agreement for the sale/purchase of a medical practice – the real test to see if you have a deal — is time consuming and potentially expensive. Before you dive into that process, you want to know you have a deal and its specific parameters. A letter of intent is the tool that allows you to do just that. 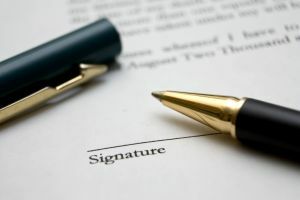 A letter of intent is, generally speaking, a non-binding way to see if you have a deal and establish a framework for the more involved process of negotiating a purchase agreement. After initial discussions and meetings, the letter of intent is the first opportunity to commit specific thoughts and ideas to writing and bring the parties closer to committing. The letter of intent should set forth basic points of agreement that the seller and buyer want to cover in the purchase agreement. The shift from abstract talk to written words helps focus the parties on true terms and consideration, to see if they really want to commit. Once the basic terms of the deal are established by a letter of intent, the parties can more easily and with greater efficiency transition to the process of preparing a complete purchase agreement. The letter of intent should cover all of the basic terms, including price and payment. Will the purchase price be paid in full at closing or paid in installments? If the payment will be made in installments, with what payment schedule, interest rate and security? The letter is also an opportunity to specify who is responsible for payment of expenses associated with the transaction. Usually, the seller and buyer are responsible for their own professional fees. There are instances when one party agrees to pay all or a portion of the other party’s expenses, however. Such details should be covered in the letter of intent. If the purchaser has not yet been given access to the medical practice’s records, the letter of intent should specify the particulars of the agreed due diligence investigation. The seller must ensure that a confidentiality provision of some kind has been established and entered into by all parties. While the letter of intent is nonbinding as to purchase terms, the confidentiality obligation should explicitly be binding. The letter of intent should specify whether the purchaser or the seller will be creating the initial draft of the Purchase Agreement. Both parties may want to prepare the initial draft (because it allows first shot at format and language), but should bear in mind however that preparing the first draft typically means greater legal expense. An effective letter of intent will flesh out issues before proceeding with the formal purchase agreement. Both parties should be represented by counsel. Our business and healthcare law firm is focuses on representing physicians and other healthcare providers and businesses in Georgia and South Carolina. Our law firm is AV-rated, with offices in Atlanta and Augusta, Georgia. You can contact us at (404) 685-1662 (Atlanta) or (706) 722-7886 (Augusta) or info@ksllawfirm.com.